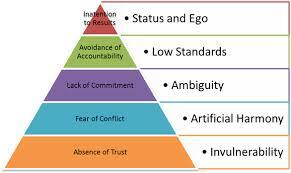 Lencioni’s Five Dysfunctions of a Team drums home why vulnerability based trust and the need for the leader to go first is essential for teams to be successful. Before I became a teacher I led many teams in business and always thought that we out performed our peers because I’d instilled a sense of fun and competitiveness in everyone who worked for me. When I retrained to be a teacher and learnt the essentials of leading a class of children, I realised that in addition to fun and a competitive edge, all my teams had trusted each other and me. 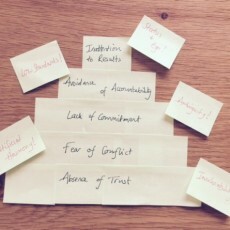 It was not until I was introduced to this video by my friend Eilis Parker, who specialises in developing leadership within the NHS, that I better appreciated my teams and I had shared a naive vulnerability as we drove to out work and out play everyone around us.